Showing recent results 4411 - 4425 of 4500 products found. Iterators is a Trusted Tester (TT) certified by the Department of Homeland Security (DHS) TT provides a code-inspection based test approach for determining software and website conformance to the Section 508 standards. Companies have their websites tested to ensure they are useable by individuals who have disabilities, such as low vision, no vision, color blindness, hearing loss or impairment, motor or developmental disabilities, elder status and light-induced epilepsy. Iterators has all the knowledge and tools to perform the testing and reduce your business impact due to a nonconformance. Post-silicon validation (PSV) of first silicon tends to be an ad hoc process, stitching together protocol testers from various manufacturers to create test cases and debug issues. While IC’s are getting to market, the process is far from ideal. Leveraging the tools and methodology of pre-silicon verification into post-silicon validation is a key enabler to higher productivity. Test IP-based PSV is a paradigm shift from the way post-silicon validation is currently done. Individual protocol testers, scopes, miscellaneous equipment from various vendors, and on-chip logic are cobbled together in an attempt to create meaningful stimulus, response checking, and debugging.The problems with these ad hoc solutions:Protocol boxes from multiple vendors generally do not work together well. Each has its own driver software, programming model and debugging tools.Tool flows from pre-silicon to post-silicon to production and back are nonexistent. This makes writing tests challenging and thus generally limited in robustness. Also, debugging suspected problems is difficult across more than one interface. The Bluetooth measurement application is one in a common library of more than 25 measurement applications in the Keysight X-Series, an evolutionary approach to signal analysis that spans instrumentation, measurements and software. Transforming the X-Series signal analyzers into standard-based transmitter testers, the application provides fast, one-button RF conformance measurements to help you design, evaluate, and manufacture your Bluetooth RF transmitters. The measurement application satisfies the test conditions defined in the Bluetooth Core Specifications to help verify your Bluetooth design with confidence while supporting manufacturing with a single application covering Basic Rate, EDR and Low Energy technologies. mOByDic1610 - Ozen Elektronik Inc. The CAN BUS multiple ECU simulator provides a professional OBD development platform which allow the user to test the OBD functionality on the table. Simulates 4 differnt ECUs. reading VIN and suspended DTC is possible . Using 5 potensiometer , 5 live data can be changed and some fixed PID values are provided. Pressing DTC bouton the trouble codes are generated and the MIL LED is ON. Service 4 commands clear the DTCs and the MIL LED. Connection to the tester is provided via a J1962 female OBD port . it needs an external 12 V power supply . More information you can get from the corresponding chipset datasheet. 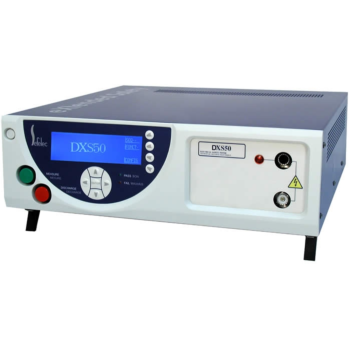 A DIELECTRIMETER IS A COMBINATION OF 2 EQUIPMENTS DEDICATED FOR 2 FUNCTIONS - a megohmmeter, made to measure insulation resistance, high resistances - a hipot tester to make a high voltage test (also called dielectric strength test, hipot test, hi-pot test, breakdown test or flash test) The dielectrimeter can do automatically and successively those 2 above tests, as hipot then megohm, megohm then hipot, or megohm then hipot then megohm again. This last test is the ideal one, which ensures that the high voltage test has not been damaging anything on the device under test. 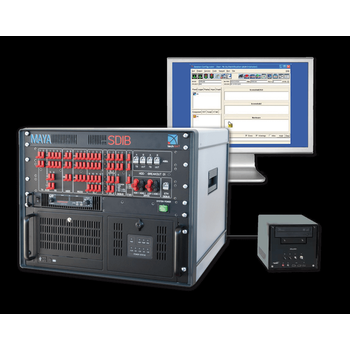 The DSX CableAnalyzer Series copper test solution enables testing and certification of twisted pair cabling for up to 40 Gigabit Ethernet deployments and will handle any cabling system whether it is a Cat 5e, 6, 6A, 8 or Class FA and I/II. Certifying a cable is one part of a process that starts with system design and ends with system acceptance. The faster that process goes, the more profitable you'll be. Unfortunately, there are a lot of things that slow the process down setting up the tester incorrectly, testing to the wrong limits, waiting for skilled technicians to analyze and troubleshoot failures, misinterpretation of results, and producing test reports that customers cannot understand. FUSE BUDDY - Electronic Specialties Inc.
*Blowing fuses? Get the Fuse Buddy. *Can test circuit current up to 20 Amps. *Clever design allows for easy connection into fuse sockets. 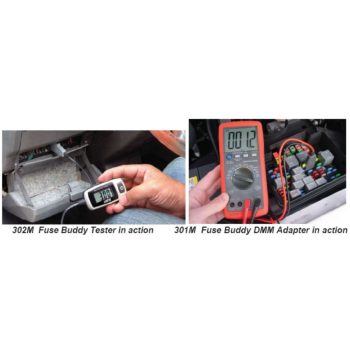 *Four models, Fuse Buddy Tester and Fuse Buddy DMM Adapter, for both Mini & ATC fuses *Fuse Buddy ends are molded into the shape of the fuse itself. *During testing the fuse is removed and replaced into the Fuse Buddy. This way, the circuit being tested maintains fuse protection. *The Fuse Buddy stays put and won’t fall out of the socket, like test probes do. *Can even be used to test for parasitic drains! SAT-JD200 DC Ground Fault Locator is applicable for any voltage in DC system, provided high accuracy clamp, to process multiple signals efficiently and increase detecting range and anti-interference capacity, to display the insulation level of the tested circuit branch in the forms of insulation index and wave, to indicate the relative ground point direction of the testing point. The users can customize an equipment with a proper insulation alarm threshold value within the insulation alarm threshold value limit according to requirement, only need to correspond the clamp meter gear with the measuring range on the tester so as to accomplish the direct ground testing or insulation level analysis. GX5295 - Marvin Test Solutions, Inc. 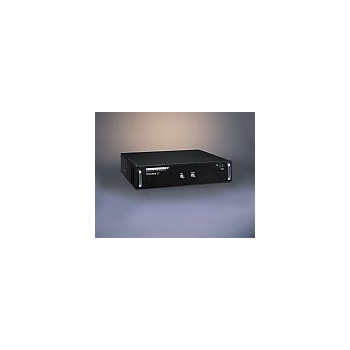 The GX5295 offers outstanding digital test capabilities and channel density in a compact 3U PXI form factor. 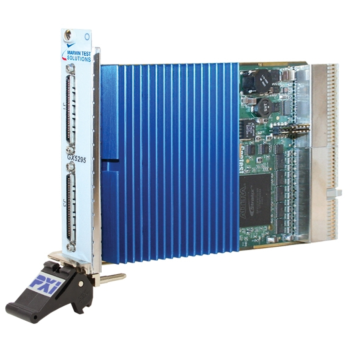 Offering both performance digital and analog test capabilities, the GX5295 provides a cost-effective, tester per pin architecture - making this card the ideal choice for high throughput, mixed-signal component test applications. Each digital channel can be individually programmed for a drive hi, drive lo, sense hi, sense lo, and load value (with commutation voltage level). 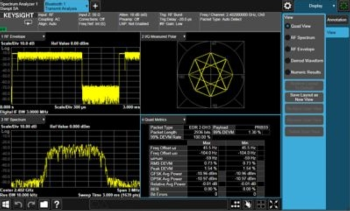 In addition, each channel offers a parametric measurement unit (PMU) providing users with the capability to perform parallel DC measurements on the DUT (device under test). LCII - Radiant Technologies, Inc. Precision LC II is an affordable Ferroelectric Tester for research labs. This system offers 5Khz at 9.9V and also comes in a built in 10V, 30V, 100V, and 200V option. 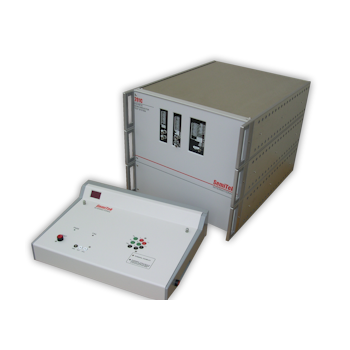 This unit can also be expanded to 10kV for bulk ceramic testing. Vision Software is provided with the LCII Test System. Vision uniquely allows the user to construct complex or simple programs with any number of tests to characterize all aspects of the sample in one execution while keeping track of the measurement results and the history of the sample being tested. Tasks such as Hysteresis, I/V, C/V, PUND, Waveform, Magnetoelectrics, Piezoelectrics are just a few features to choose from. AKT® - Applied Materials, Inc. 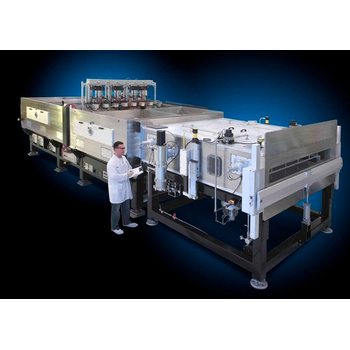 The AKT Electron Beam Array Test (EBT) system provides dynamic pixel and TFT characterization and functional tests of flat panel matrix in mass production. With minimal mechanical motion and field proven AKT PECVD systems technology, the AKT EBT TFT array tester realizes high-throughput, high-reliability, low scheduled down time and low running cost. The AKT-15K EBT, AKT-25K EBT and AKT-40K EBT feature fast, large area beam positioning, multi e-beams testing in parallel, high-throughput yields especially with larger size TFT-LCD displays for flat panel television. Integration and verification on equipment level remain a time-consuming challenge because the technological and normative requirements are extensive. To meet this challenge, we offer our customers the MAYA family, an ADS2-based technology platform based on which equipment-specific test systems can be quickly supplied. The MAYA family allows us to utilize the worldwide proven technology of our large-scale test benches also in compact and modular desktop systems with equipment-specific interfaces and breakout panels. This design keeps preparation and training of equipment developers or testers short so they can quickly start working on the target system. mOByDic1700 - Ozen Elektronik Inc. The J1939 multiple ECU simulator provides a professional OBD development platform which allow the user to test the OBD functionality on the table. Simulates a Truck ECU . Using 5 potensiometer , 5 live data can be changed and some fixed PNG values are provided. Pressing DTC bouton the trouble codes are generated and the MIL LED is ON. DM11 commands clear the DTCs and the MIL LED. Connection to the tester is provided via a J1962 female OBD port . it needs an external 24 V power supply . More information you can get from the corresponding chipset datasheet. mOByDic1010 - Ozen Elektronik Inc. 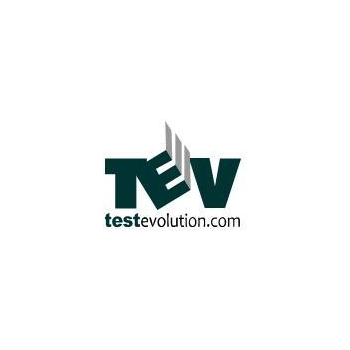 The ISO 9141 multiple ECU simulator provides a professional OBD development platform which allow the user to test the OBD functionality on the table. Simulates 4 differnt ECUs. reading VIN and suspended DTC is possible . Using 5 potensiometer , 5 live data can be changed and some fixed PID values are provided. Pressing DTC bouton the trouble codes are generated and the MIL LED is ON. Service 4 commands clear the DTCs and the MIL LED. Connection to the tester is provided via a J1962 female OBD port . it needs an external 12 V power supply . More information you can get from the corresponding chipset datasheet.